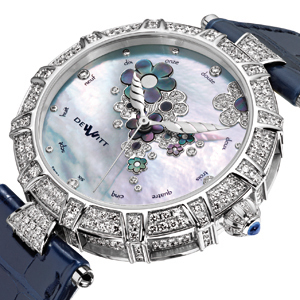 DeWitt found inspiration for its latest timepiece in the Pre-Raphaelites, the first avant-garde movement in art, founded in the mid-nineteenth century, and their exquisite portrayal of women, romanticism and the symbolism of nature. 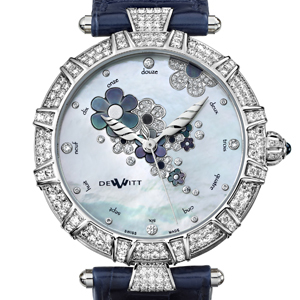 This stunning, diamond-paved watch is DeWitt's homage to modern woman in its delicacy and elegance. 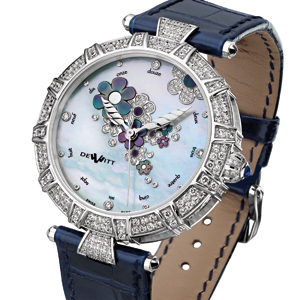 Gossamer clouds float across the white mother-of-pearl dial, which is studded with diamond flowers for a shimmering mirror effect. The final flourish comes from the imperial columns that surround the dial, which DeWitt has sculpted to become part of this delicate painting. 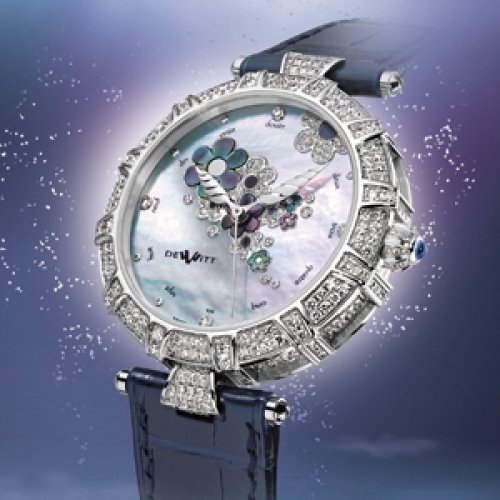 The essence of femininity captured and set with 412 diamonds for a total 2.89 carats.